From dealer to manufacturer – Kožul d.o.o. 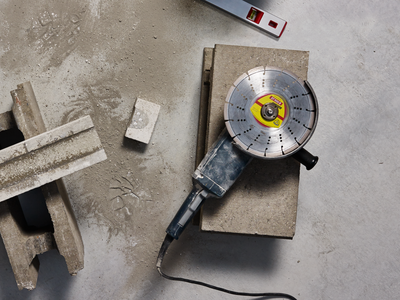 Haiger, 2nd of May 2015 — Apart from bonded and coated abrasives, users can now opt for premium-grade diamond tools, which are made in house at Klingspor and have now been adopted into the product portfolio. Klingspor’s selection of diamond tools has been devised as a comprehensive portfolio suitable for all common applications and includes – at the time of its market launch – more than 40 products and 250 single items.